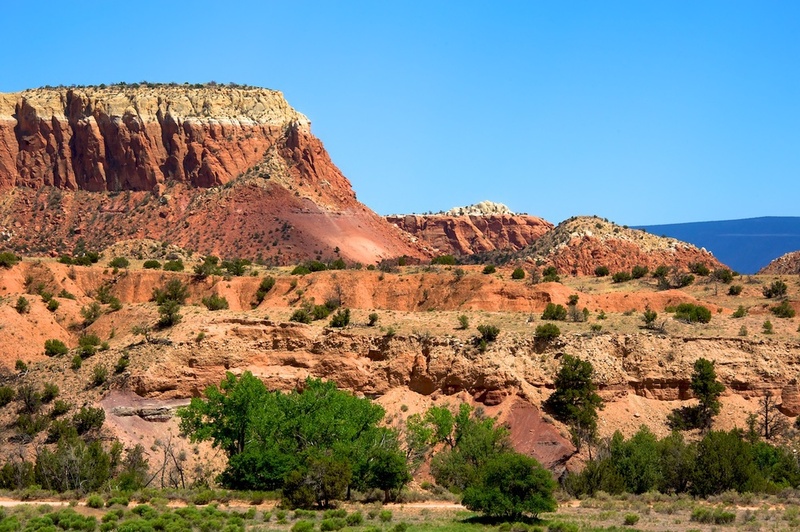 Day 3 of Santa Fe week: The amazing landscapes of Ghost Ranch! 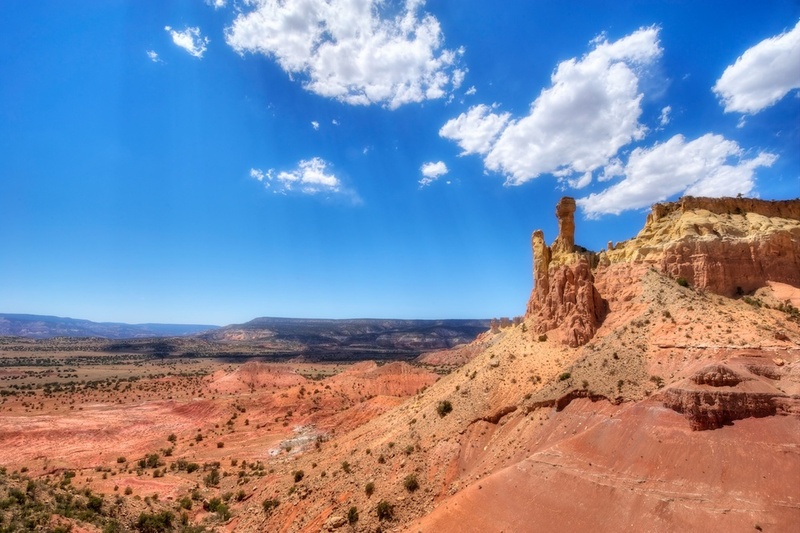 Ghost Ranch is out in Abiquiu, NM and is about 1 hour sorta northwest of Santa Fe. Yep, 1 hour in the car - but the amazing landscapes are well worth it. Ghost Ranch is an inn and conference center, mostly centered around the arts. It's well known as the place where the artist Georgia O'Keeffe spent a lot of her time, painting so many of the masterpieces she is best know for. When you see the landscapes around here, you will know why she was so inspired to paint the land. It's incredible. There are several different trails to hike on here, and you can literally spend a full day there if you have that much energy. But if you are looking for some good hiking and great photography, take the trail to Chimney Rock (photo above). It's only a fairly strenuous hike, you can get it done in around an hour and a half or so (well, that depends on how many photos you are taking, though) and the scenery is fantastic. This next shot is an easy one to get - no hiking required. Just get out of your car, and turn around. Easy! !